Want to be the first on your block with iOS 8? No problem, we’re here to help you get going with Apple’s latest mobile operating system as quickly as possible. 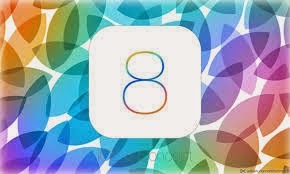 Please follow these instructions to install iOS 8 beta on your iPhone(s) or iPad(s). I recommend torrent download as shown in image below. 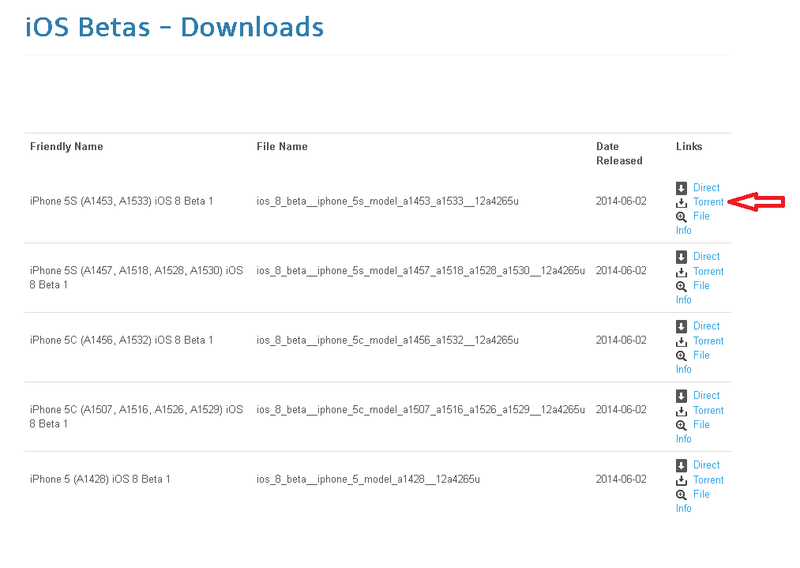 Choose iOS 8 firmware according to your iDevice model. 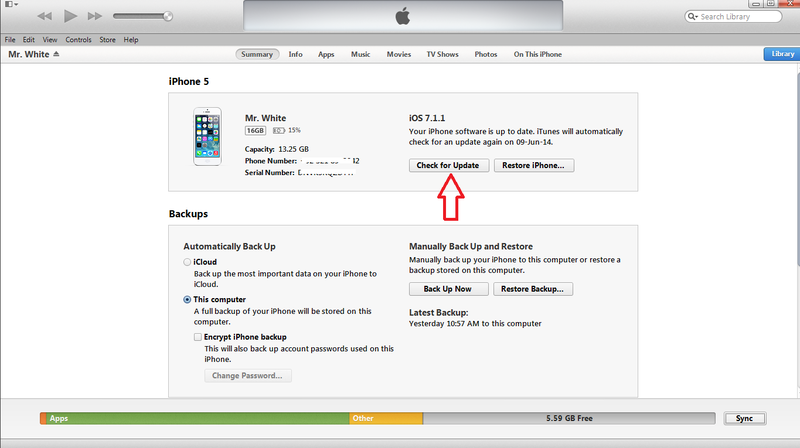 If you’re not sure of the model, flip your iPhone, iPad or iPod touch over and look at the bottom – the model number will be right there. The download may take a bit, in my case I had to download a 1.8GB file. Next, hold down the Option key if your on Mac or Shift key if you are on Windows and select “Check for update” in iTunes.